Dr. Plotnikiewicz, also known as Dr. Matt, brings his considerable skills and many years of dental experience to add to the extensive list of services and treatment provided by Dental Health Professionals. 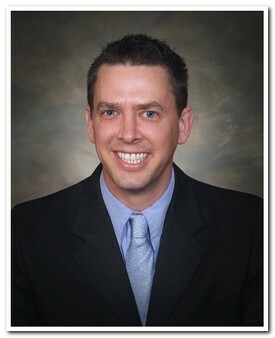 Dr. Matt is originally from Sterling Heights, Michigan. He did his undergraduate work at Adrian College, and completed his dental training at the University of Detroit Mercy in 1995. He has received additional training in restorative dentistry, and has extensive experience with cosmetic restorations. He has been an Adjunct Clinical Professor for the University of Michigan, mentoring 3rd and 4th year dental students. Dr. Matt is a member of the ADA, MDA, West Michigan District Dental Society, Resort District Dental Society, and the Chicago Dental Society. He enjoys fly fishing, and is a lifelong member of Trout Unlimited, and the Pere Marquette Watershed Council. He loves sports, having played football, baseball, soccer and volleyball, and is a diehard Detroit sports fan. He and his wife Alana, have five children. Matt and his family attend Hersey Congregational Church, where he and Alana were married.